Praise be! Hallelujah! Another faith-based movie about how Christianity can save one’s soul via forgiveness and love of the Lord. I Can Only Imagine is the latest cinematic victim to these preachy motivations, telling the story of singer Bart Millard from the Christian rock group MercyMe and the inspirations behind their chart-topping hit I Can Only Imagine. Greenville, Texas, 1985. Bart (J Michael Finley) endures his abusive father (Dennis Quaid), who beats him regularly. He grows into a teenager and reluctantly joins a glee club, where he discovers his talent for singing. 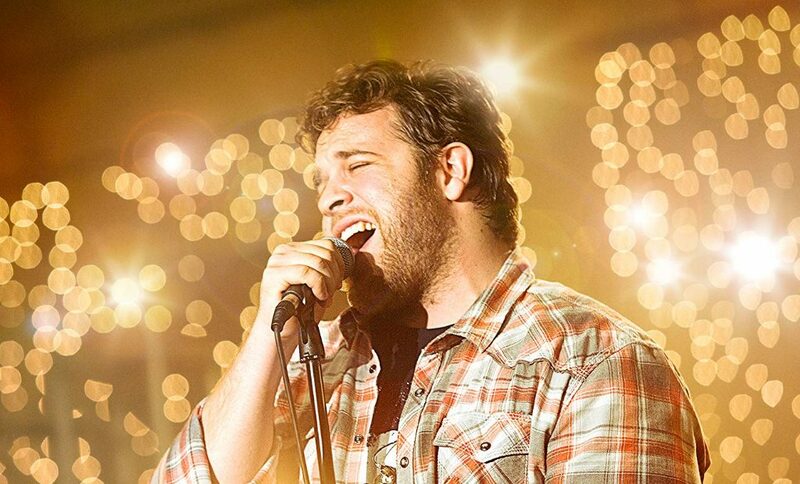 He grabs at the chance to leave home, away from his father, and goes on the road, finding a band (MercyMe) and becoming their lead singer. For the first part of I Can Only Imagine, the viewer wouldn’t necessarily think this was a Christian movie (despite the not-so-subtle hints in the set-up). But it’s when Bart sings in front of a crowd of people, and they have their arms outstretched as if reaching for God, when we’re hit with the religious shotgun. It’s not as overloaded and intolerable as last year’s The Case for Christ – at least this is entertaining at times. Bart is a loveable character, even despite his cartoonish demeanour, but the preachiness about the power of Christianity makes the whole film stink to high Heaven. Like other faith-based movies, I Can Only Imagine pretends that the concepts of forgiveness and redemption belong only to the Christian church and that the only way to earn them is by accepting Christ as your Lord and Saviour. No thanks. Even without the preaching, the film doesn’t have much to stand on. There are a few funny lines, a few well-edited scenes, and the story is sometimes fun to follow – but these qualities aren’t stretched to their full potential. The Christian rock community is a largely untapped area, and the audience would be interested in their atmosphere and how they operate. We get glimpses in this feature, but nothing to amplify one’s general interest. I Can Only Imagine isn’t as bad as other preacher-pictures, but still prefers to voice a Christian moral than to tell a good story – it’s less of a biopic and more of a poorly told parable. 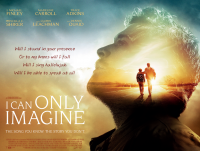 I Can Only Imagine is released in select cinemas on 10th.August 2018.